It's been seven whole days since I had the sad realization that this pregnancy was over. But it feels like it's been months. It's amazing how much grieving and acceptance can happen in a mere week. But as much as I feel like I'm coping well, I'm surprising myself with these insane moments of denial. For example, I have another beta draw scheduled for today. Yesterday morning, a part of me was telling myself "The beta might go up! You might be one of those miracle cases!" I know intellectually that won't happen, but the side of me who wants to be a mother so badly can't seem to let go. To put those feelings to rest, I went ahead and took a cheap urine test to bring myself back to reality, and of course the line was much lighter. I needed to see that. I need to let go of hope and move forward. Right now I'm stuck in limbo just waiting for the bleeding to start and until it does I think my mind is going to continue to play tricks on me. I hate this time of being in limbo. To help pass time, I've been daydreaming about traditional adoption. Kevin and I looked at success stories online and talked a lot about how it would feel for us to be one of those stories. I even called a few places yesterday morning to get information to help us figure out what the right steps to take for us . After loads of research, I think we feel most comfortable using an adoption consultant, applying to multiple agencies through that consultant, and pursuing trans-racial adoption. I am so excited about the hopes for our future family. Of course, I have hope for the next FET too, but it's hard to feel excited about it after the devastating blows we've endured. I did the math, and barring any unexpected delays, I expect to have the next FET around Thanksgiving time. This means we should be learning of the outcome in early-December. If it succeeds, it will be a wonderful Christmas present. But if it fails, we will be ready to jump on the domestic infant adoption path right at the beginning of the new year. However God leads us to our family, we will follow. Our babies are waiting to come, and I have no idea what skin color, eye color, or hair color they will have, but God has a plan in store for us. 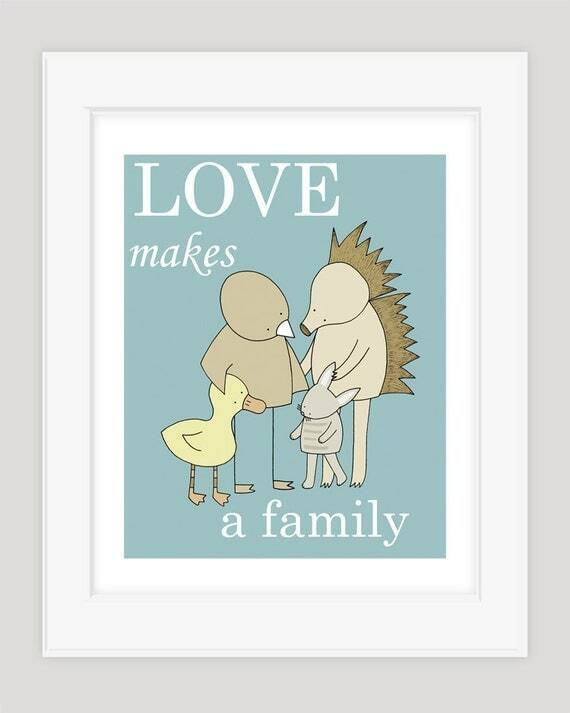 Love is what makes a family. We can't wait to meet them someday and love them with every piece of who we are. We are so grateful we have options available to us. Thanks for your continued prayers. Update: My beta came back at 6. I couldn't agree with you more! I sometimes had to remind myself that there really was a certain time my children were supposed to enter my life. Knowing that even a month prior wouldn't have yielded the children I have now make the wait worth it. It was a hard choice for me to move on after our failed FET, but now that we are halfway through the adoption process I'm so glad we did. I have no regrets and it's an exciting adventure. I'm glad to hear you say that. :) I really hope you are matched soon and can have your forever family through adoption. Sending you a big hug. You are such a strong lady. Wishing you nothing but the best. Thank you, Trush. I appreciate it! When we were going through round after round of IUI and then IVF and miscarriage....I started actively researching adoption. We had our irons in many fires. And then on our hail mary IVF, I got pregnant...but just was not ready to believe it was for real (after a loss of twins at 10 weeks and a chemical pregnancy)....but I did not want to slow my progress..,.so I was attending adoption seminars and meeting with agencies all the up until I was about 11-12 weeks pregnant with our son. I just needed to know I was actively trying to build our family and had back up plans. And then...when we were wanting a 2nd child...we were going through the foster adopt program and taking all the classes and getting our homestudy started when I discovered embryo adoption. I continued to go through all the foster adopt (a very long process) program even when we had been matched with embryos and were on the calendar for an FET. I did not completely abandon that process until we were pregnant again (and knowing I still had more embryos on ice). We were fortunate, we got pregnant the first time with EA .... so I totally support parallel processes. I think it is necessary to stay sane and not spiral into the emotional black hole that infertilty and TTC can do to a person/couple. I would encourage you to get as far as you can in the process without actually spending any money all while still persuing EA. Good luck Liz.....you have coped amazingly well in the past several months that have been very very hard. I'm glad to hear you say that! I want to believe the next FET will work but I'm only going to survive by having a solid plan B. The only reason I think I am coping so well is knowing that there is another option at the end of this path. I'm glad you found success but it does make me feel less crazy to hear you share your story! thank you so much. I love how hopeful and positive you are. 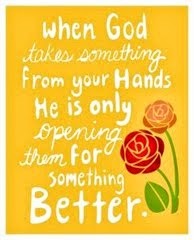 I am praying for the best possible outcome for you, whatever that may be! Thank you so much! I appreciate the prayers. I nominated your blog for the Liebster Award. Check out my latest post if you are interested in participating. You really are a strong lady and are handling this so well. I am impressed with you forward thinking approach. You WILL have a family one way or another. I have no doubt. Thank you, Jalara. That is very nice of you. I am so sorry about the recent events in Russia. You are in my prayers. You guys are going to be wonderful parents however that happens! You are so ready to love your child! It will happen!